We are offering Metal Working Tools to our clients. 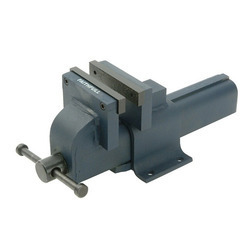 They are robust in construction and are mainly used for finish turning and facing of components with square shoulders. These Bosch Power Tools for metalworking stand for maximum power even in the toughest applications such as surface finishing or cutting a wide variety of materials. More power, perfect handling and longer runtime for every job. Whether you want to cut, grind, deburr or simply drill into metal – the right tool for any application is available in the professional power tools range for metalworking from Bosch. We manufacture and offer a wide range of machine and metal working tools. As an affluent name of this domain, we hold expertise in providing high quality Punch Shearing Tool. MetalworkingMore power, perfect handling and longer runtime for every job. Whether you want to cut, grind, deburr or simply drill into metal – the right tool for any application is available in the professional power tools range for metalworking from Bosch. Tough cutting and grinding jobs.